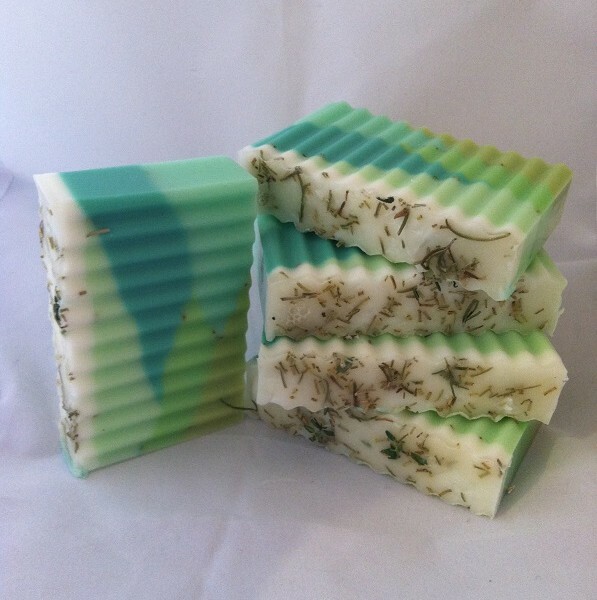 These unique looking green bars are handmade with liquid goat's milk, extra virgin olive oil, and a blend of all natural essential oils that come together to create a naturally beautiful smelling and hard working product. 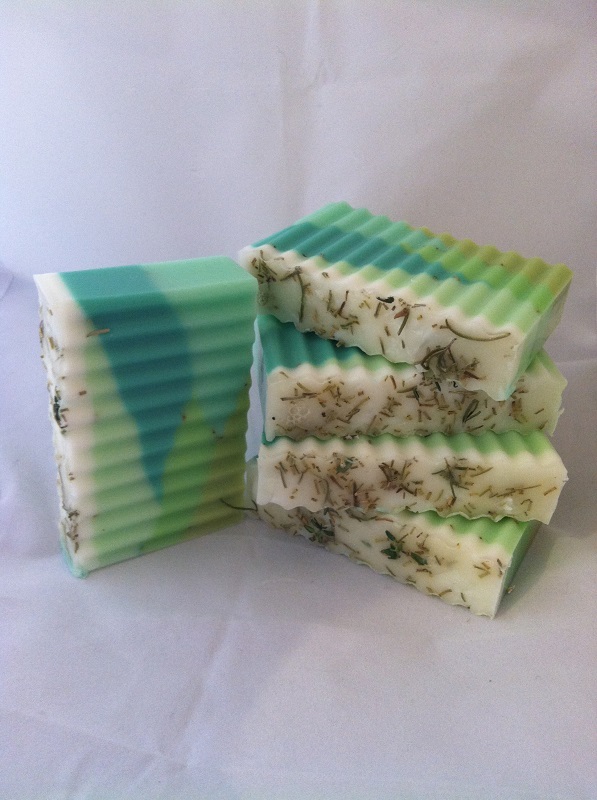 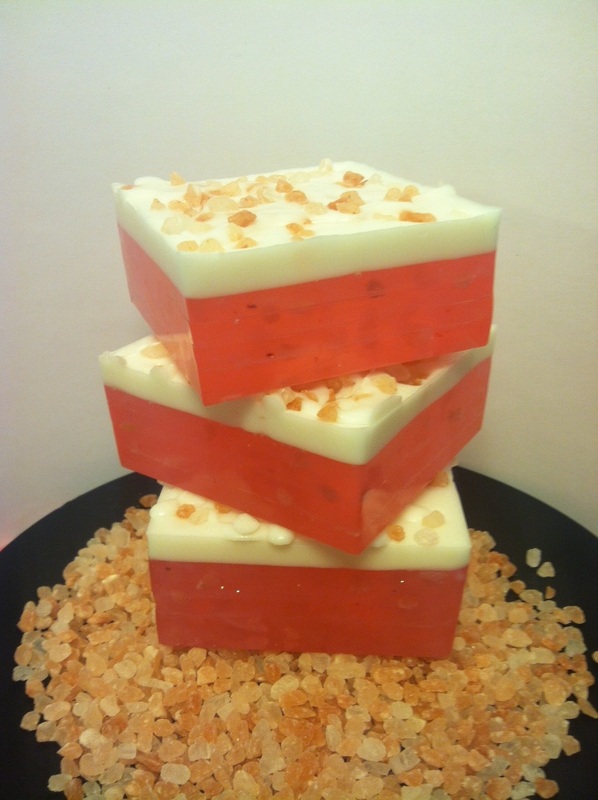 Every bar contains fresh Rosemary hand picked from our very own home garden! 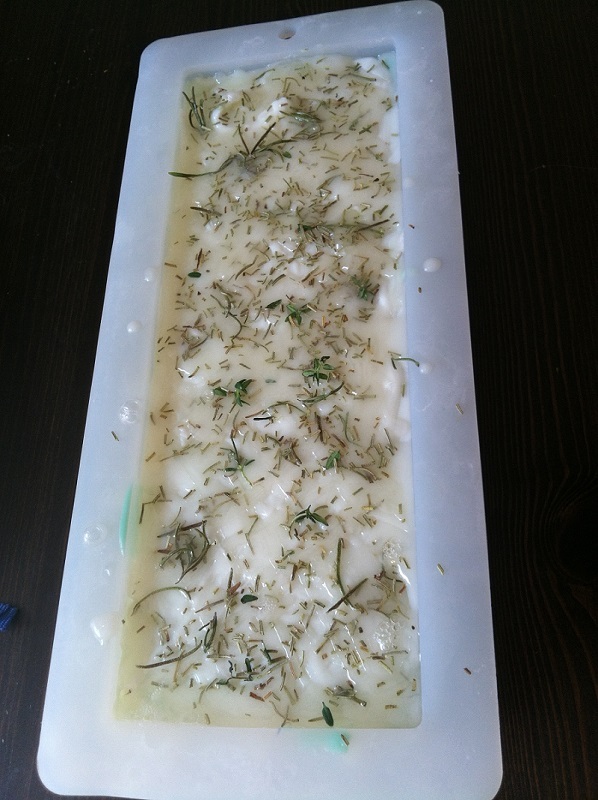 Ingredients: fresh picked rosemary from our garden, coconut oil, extra virgin olive oil, safflower oil, palm oil, fresh homegrown aloe vera, glycerin (kosher, of vegetable origin), purified water, sodium hydroxide (saponifying agent), peppermint essential oil, sorbitol (moisturizer), goats milk, sorbitan oleate (emulsifier), soy bean protein (conditioner), fragrance, chromium hydroxide green (mineral colorant), ultramarine (mineral colorant), and titanium dioxide (mineral colorant). 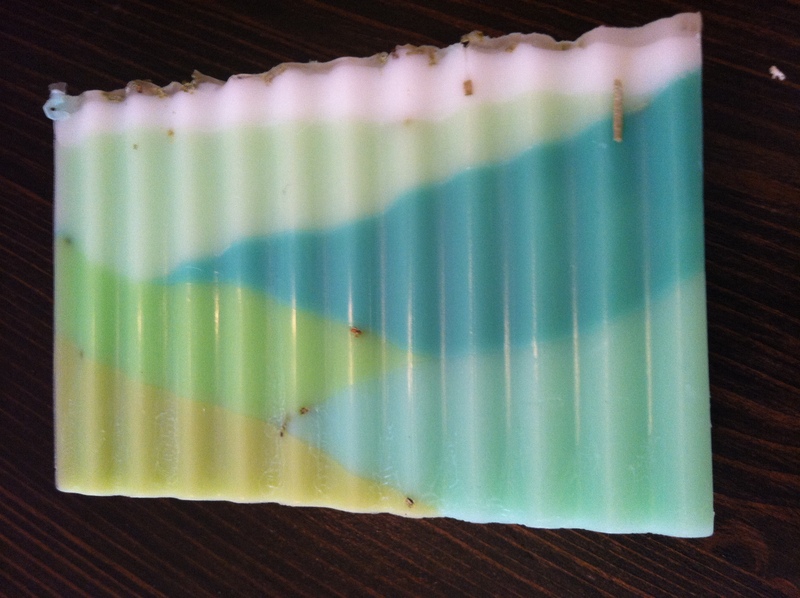 Every Super Soapers item is handcrafted, please allow for slight variations in: pattern, color, and size.